Who needs a passenger seat when you've got two 18-inch screens? 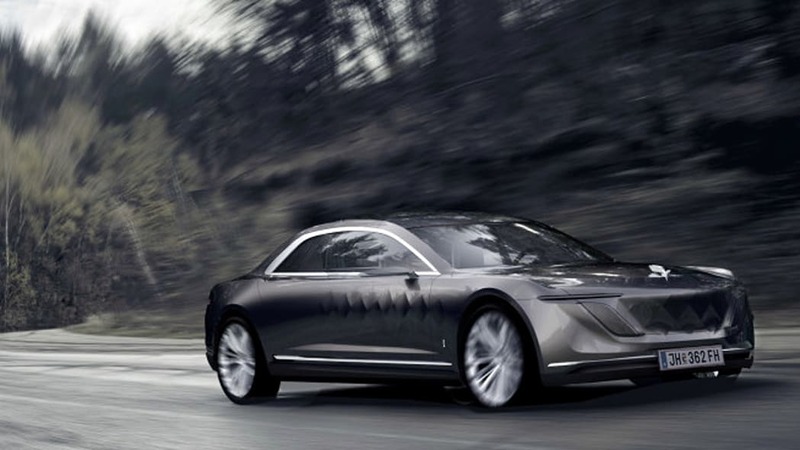 Image Credit: Varsovia Motor Co.
A Poland-based startup automaker is entering the "Tesla fighter" sweepstakes with a luxury extended-range plug-in that appears to double as an office on wheels. 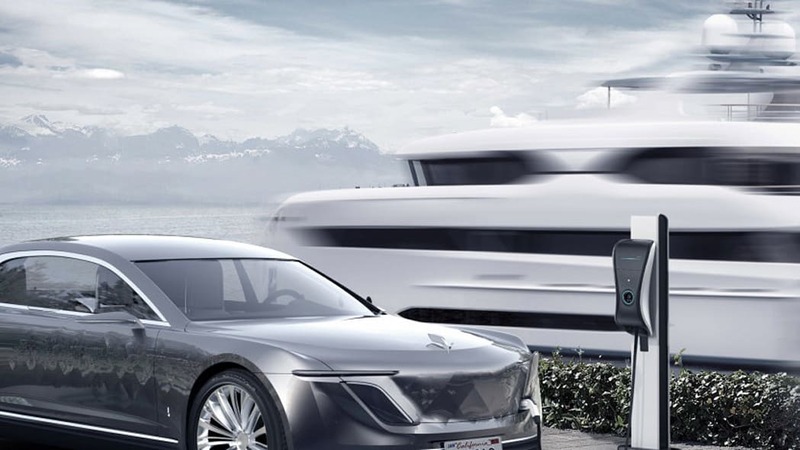 Varsovia Motor Co. (the name is a nod to its home base of Warsaw) says its posh sedan will go into production sometime after 2018, and will be produced in limited numbers. That means somewhere along the lines of 50 vehicles a year or so, according to Autoguide. Varsovia is promising some impressive specs, including a battery that can move the car 215 miles on a full charge as well as a range-extender that can supply another 311 miles on a full tank. The automaker also says the 4,400-pound vehicle will be able to go from 0 to 62 miles per hour in about five seconds. 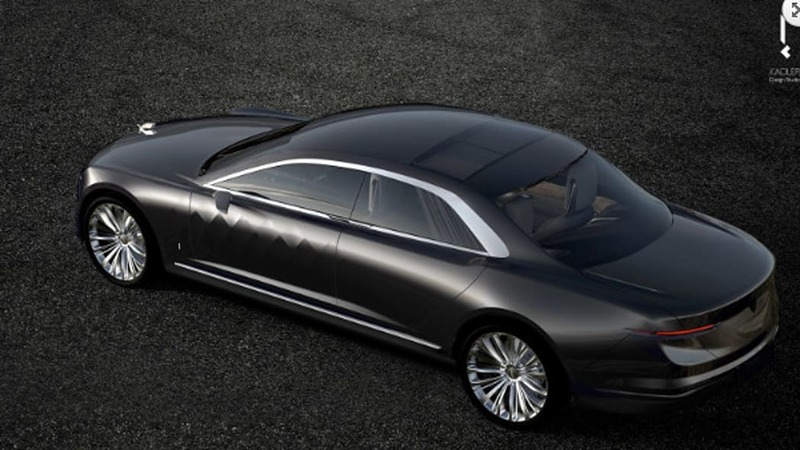 Some unusual amenities include a diamond-like pattern on the car's body panels as well as the lack of a traditional grille. The company's emblem is based on Sawa, the mermaid on Warsaw's coat of arms. Heady stuff. 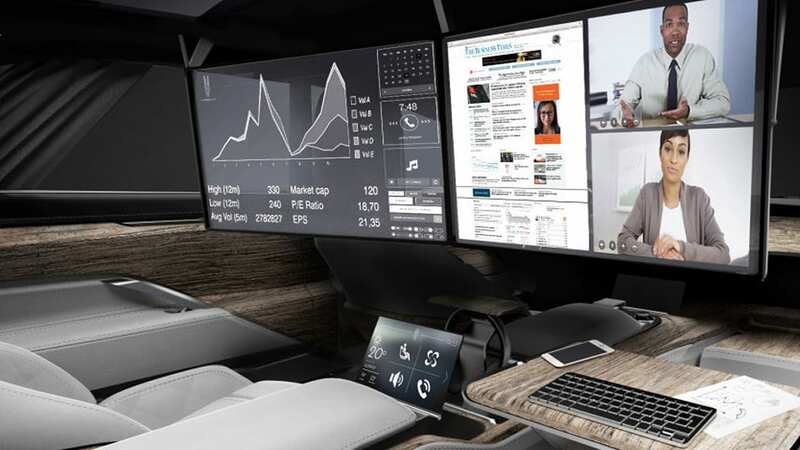 Where things really divert from the normal, though, is the car's emphasis on becoming a mobile workplace. 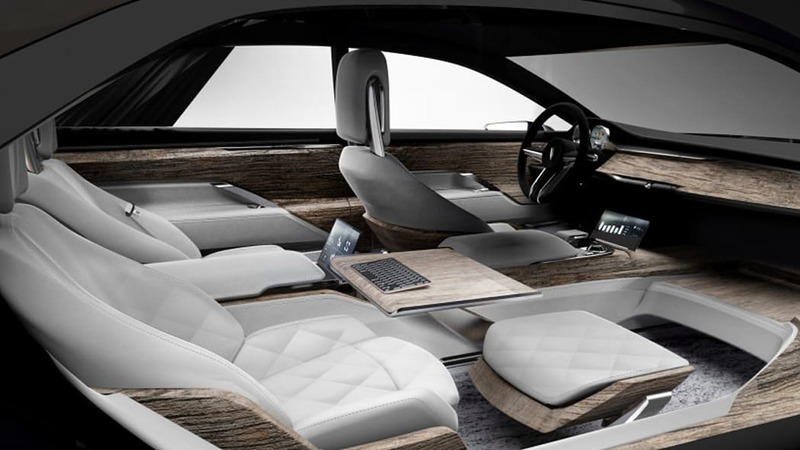 The passenger seat has been removed to provide extra working space from the back seat, while the car will feature a built-in computer, tablet, mouse, and keyboard. Additionally, there will be two 19-inch screens that can be combined to make a single 38-inch screen. Also, the car will have sensors that will track the driver's heart rate, and will then adjust the vehicle's music and lighting accordingly. So while the automaker is unproven, one has to respect the somewhat unorthodox approach the company is taking to luxury motoring. Check out Varsovia's website for its rather utopian vision for driving.